These never-worn platform ankle strap open toe shoes are Harajuku Lovers. They have manmade uppers in black faux patent leather. 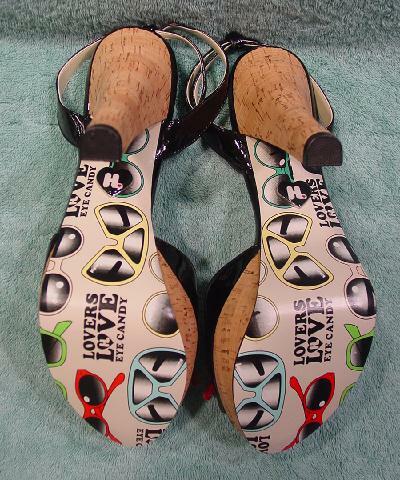 The insoles and bottom soles say Lovers Love Eye Candy with different styles and colors of sunglasses. 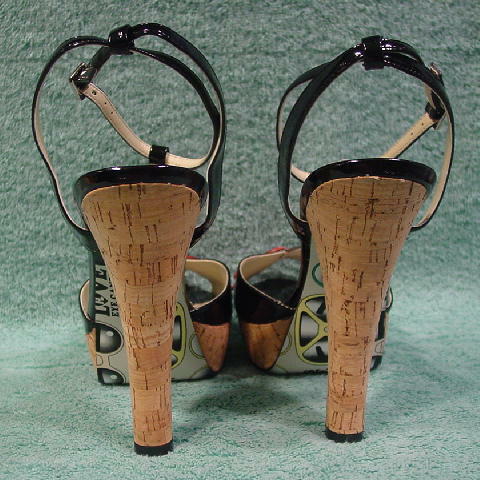 The platform and high heels are cork. The front open toe has a toe bed in faux black patent leather. The top (vamp) area has a pair of heart shaped sunglasses in black and red with the logo in white. The style is called Leah.